I just started doing Pre-Marital counseling with a couple this past Sunday. I always forget how much fun it is to go through the process. One of the first things I often have to do with couples is talk about expectations. When a couple gets married, both parties have very specific assumptions about and expectations for marriage. But these expectations are often unconscious, unspoken, and differ greatly between the two people. The purpose of premarital counseling is to bring these expectations to light and help couples create both more realistic expectations and form new expectations as a couple. These are tricky waters to navigate. Our expectations are deeply rooted in us and often have a bit of a rose-colored tint to them. Uncovering them and then having to rethink them is difficult. But it is a needed process because our expectations drive the things we do and the decisions we make. This is true in all of life, not just in couples about to get married. If you’ll notice in this week’s readings, the people in Israel were anxiously awaiting the Messiah. But they were going to John because they thought John was the Messiah. But John stops them. He tells them to wait because someone even better able to fulfill that role is coming. At his baptism, Jesus picks up the role and it is more beautiful than anyone had imagined. Heaven is opened, the Spirit is embodied, and God loudly proclaims Jesus to be his unique son with whom God is well pleased. Jesus shows up and messes with everyone’s expectations. Most people were looking for a Messiah who would lead a political and military revolution against the oppressor Rome. Jesus is killed by Rome and asks his followers to love their enemies. Often these expectations caused them to miss Jesus altogether. Other people began to sense there was something different about John, and they wanted to rush to make him the Messiah. John did some amazing things and gives a wonderful example of what it means to be humble and follow Christ. Had the people settled for John, they would have been wildly disappointed. Jesus comes and messes up everyone’s expectations. Sometimes our expectations make us miss Jesus completely. Other times they make us make a god out of something which is not God. At Jesus’ baptism, we learn how to manage our expectations. 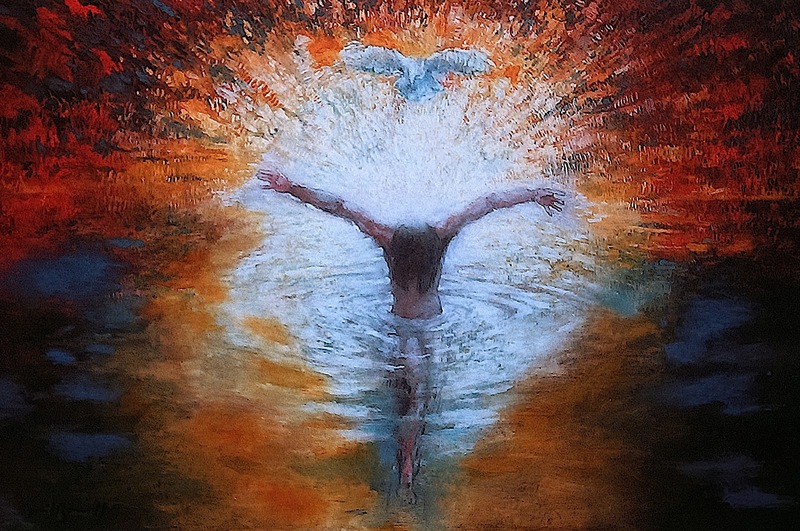 As Jesus rises from the water, he is revealed to be the true Messiah: God and humanity all wrapped up in this one person and we realize nothing will ever be the same. If we want to know what to expect from God, what God looks like, how God operates, what is important to God, what God’s grace, love, and mercy look like – we look at Jesus. If we want to know what it looks like to be human, what is important, how to have the best life, how to behave and see the world – we look at Jesus. God and full life often don’t look like we think they should. Jesus’ vision and example for the way life works is often completely upside down from what we normally expect. But when we learn to look to Jesus for our expectations, an upside down life is what we come to expect. We come to expect that nothing works the way we think it should, but that is because Jesus has something better in store. This entry was posted in Epiphany and tagged Baptism, Expectations, Jesus. Bookmark the permalink.